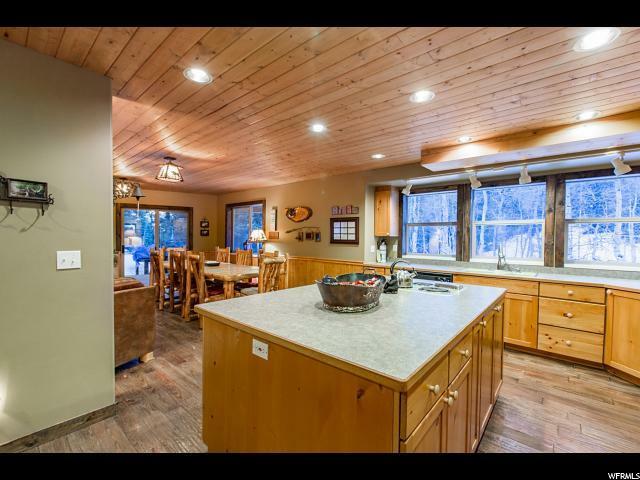 Heavily wooded with towering conifer pine trees, this hidden retreat was recently updated on the interior and offer hand-scraped hardwood from Ecuador, slate tile, paint, fixtures, lighting & flooring throughout. 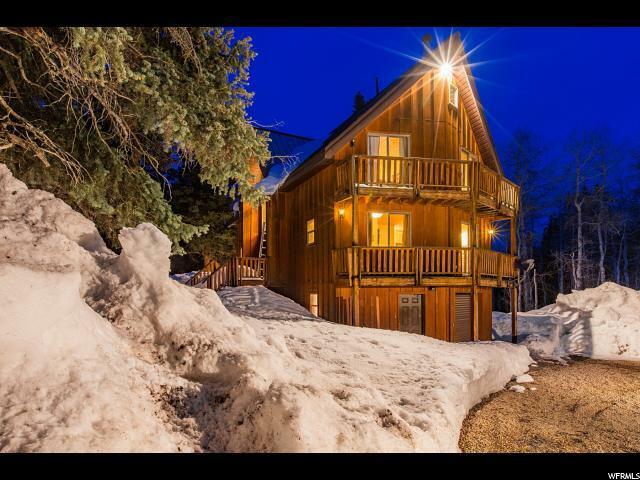 OFFERED FULLY FURNISHED W/ ASPEN LOG WOOD FURNITURE & PROPANE AT THIS PRICE! Full walk-out basement with mudroom/laundry area, fam room, and bedroom. Open 2nd (main) level entertaining area with HUGE walk-out deck, both covered and uncovered. Enjoy watching kiddos play in the landscaped areas that feature a play set, trampoline and a "bunk house" that comfortably sleeps 8 more! 2 additional bedrooms on the 3rd level - each with private sink for easy family use/large groups- and kiddos will LOVE the "Crows Nest" that towers on the 4th level and overlooks the entire great room and loft areas. Comfortably sleeps 12+ in beds inside the cabin and 7+ in the "bunk house". Plenty of room to spread-out! ATV GARAGE BUILT INTO THE FOUNDATION. 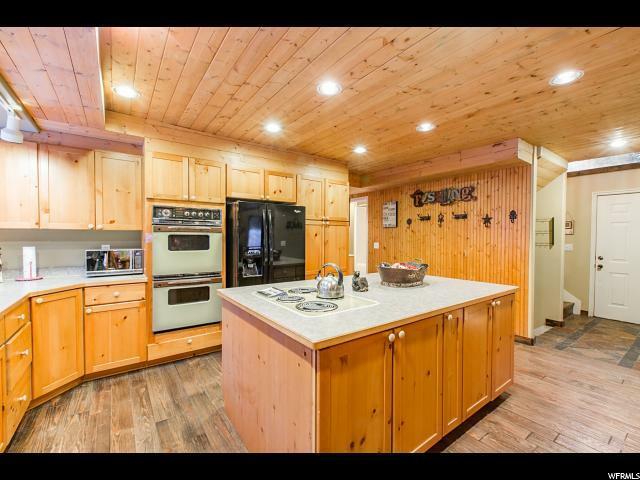 Timber Lakes is a guard-gated private residential/recreational mountain community only 7 miles from Heber. 1 hr to SLC/Provo. 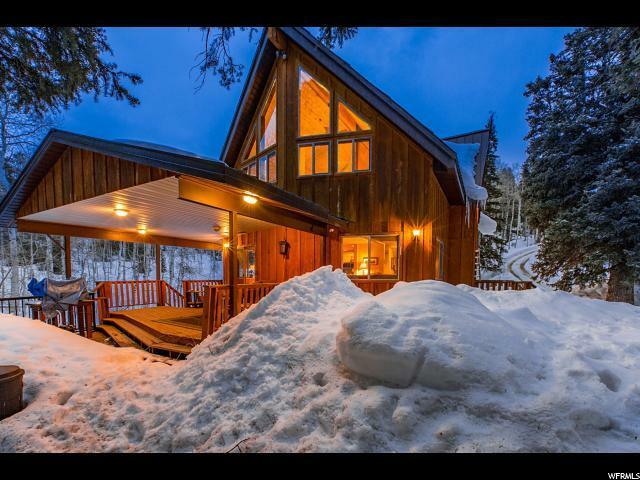 Private winter access to the Uinta Ntl Forest. Trails, wildlife, lakes, ATV use! Square footage figures are provided as a courtesy estimate only and were obtained from County/MLS. Buyer is advised to obtain an independent measurement.